The Philadelphia Eagles signed tight end Billy Brown to a contract on Friday, according to the NFL’s official transaction page. Brown originally signed with the Eagles as an undrafted rookie free agent following the 2017 NFL Draft. Brown was a productive wide receiver at Division II Shepherd University but he transitioned to tight end in Philly. 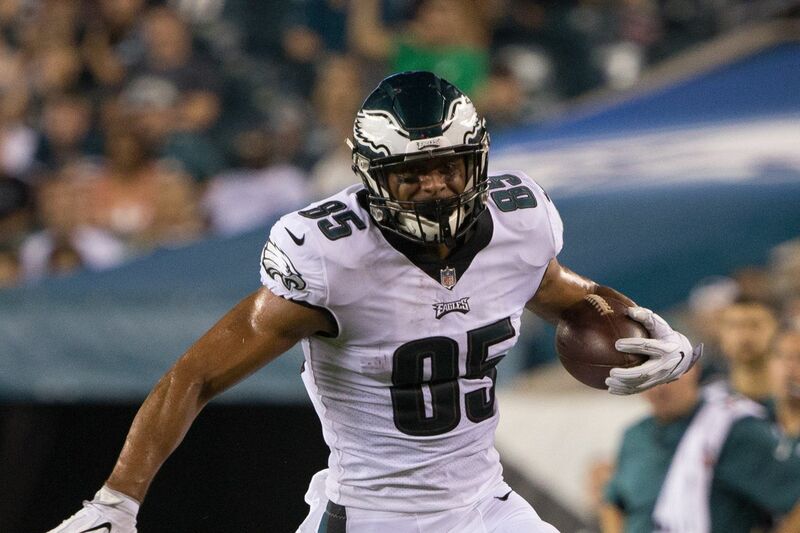 There was thought Brown could push for a spot on the Eagles’ final 53-man roster last season. The 6-4, 255 pound rookie showed some nice pass-catching potential in training camp practices. Brown didn’t make the roster, though, and ultimately spent the entire 2017 season on the Eagles’ Practice Squad. It’s possible that Zach Ertz is the only Eagles tight end on the 53-man roster to return in 2018. Brent Celek, who recently turned 33, has a $5 million cap hit in 2018. He can be cut for a savings of $4 million. Alternatively, he could retire, which has the same impact on the Eagles’ cap. Meanwhile, Trey Burton is schedued to be a free agent. He could get a bigger offer than the Birds can afford to keep him at. And so that leaves Brown with an opportunity to step up and earn a roster spot. His progress will be worth monitoring in offseason practices this year. With Brown back in the fold, only three of Philly’s final 10 practice squad members are still unsigned: cornerback De’Vante Bausby, safety Harold Jones-Quartey, and offensive guard Josh Andrews.